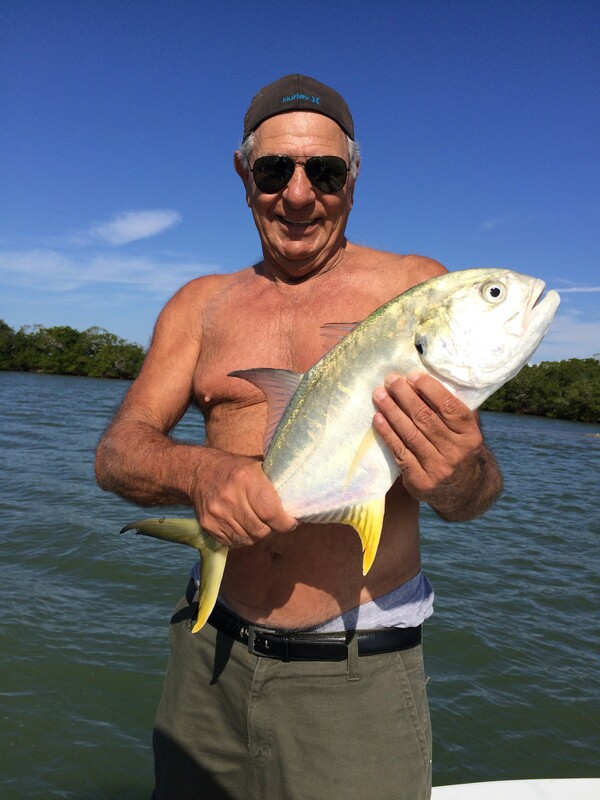 As of 1-5-15 the fishing has been really picking up in Estero Bay and Fort Myers. By the end of last week the tides started to rebound and the weather stayed warm so the fishing slowly through the week got better and better. We started the week catching small snook and Jacks and by the end of the week there was Redfish Trout Snook and many other species being caught. This weekend is the full moon, that can usually go one of two ways for anglers. Some think it slows down the bite because fish feed heavily at night. I have had some of my best Snook fishing action around the full moon during the day though so each angler has their own preference i guess. Bait is around and has really moved to deeper water spots. Make sure if you are cast netting in deep water that you have the right net. The weight and mesh size is key to getting bait in your net in deep water. It has to be able to sink fast enough to catch the bait, but also it can not have to large of mesh or the bait will just slide right through it. Look for fishing to remain strong this week up until we get a cold front on Thursday. After that the fishing should slow down a bit but should rebound nicely by the weekend. There is ALOT of people from up north down on vacation and Estero Bay is very busy even on Mondays and days during the week. As always have some courtesy, give people fishing a large berth and don’t feel like you have to fish right next to others on the water. The bay is an aquatic preserve so even though this time of year you can be on plane basically everywhere doesn’t mean you need to. Respect the resource and our grass flats and stop far away from your fishing spots and don’t run over the grass.